Several months ago, we began a project in honor of T-ara 9th Anniversary, to make a donation to Save the Children’s ‘Help Syrian Children’ cause in T-ara’s name. Entering it’s 8th year of war, more than 1 million children are living in grave conditions, where they continuously suffer from chemical bombing, violence, abduction, starvation and other threats. Thanks to Queen’s generous contributions, we have successfully completed our goal and will join the effort to help save and protect the lives of these children. 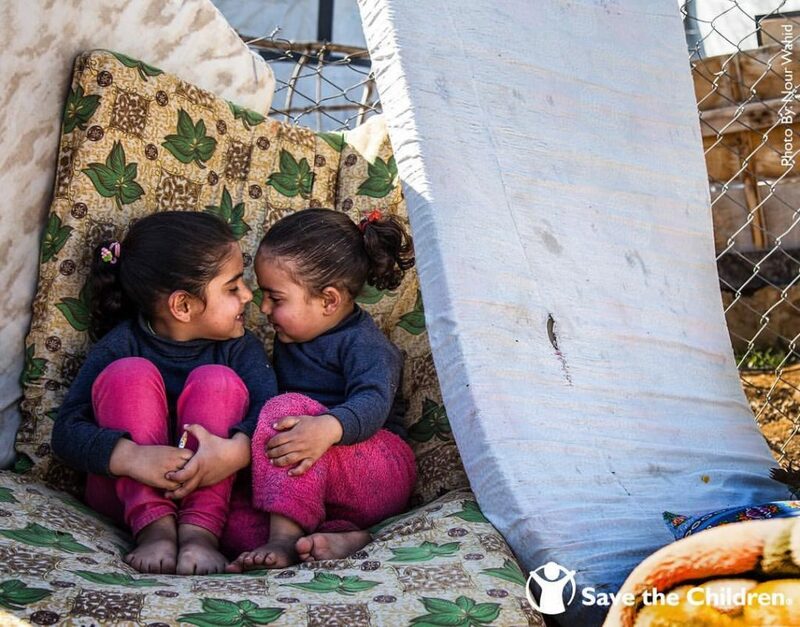 Our donation will go towards providing lifesaving services and supplies, and ensure children a safe haven to receive care, to learn and to play. 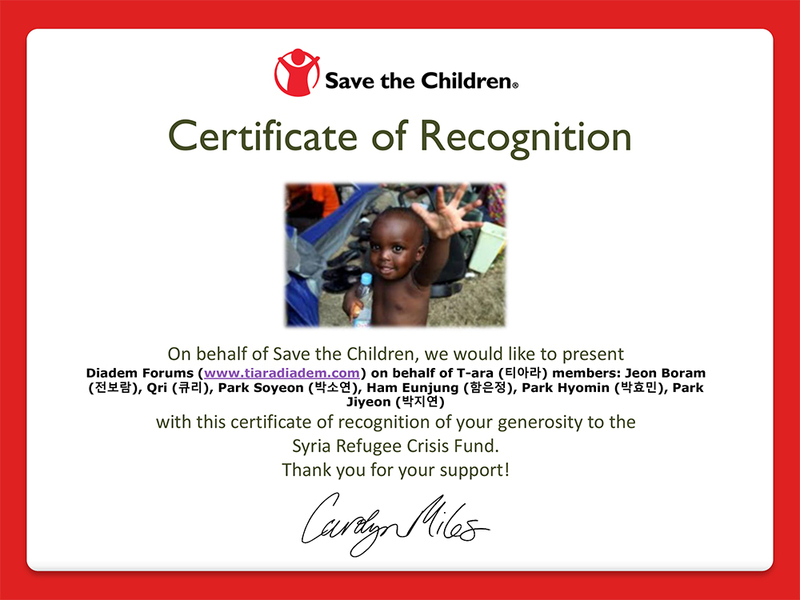 In recognition of our donation, we have received a Certificate of Recognition from Save The Children on behalf of T-ara. Thank you to every Queen’s that participated in this incredible cause. Let’s continue our support for T-ara and do amazing things together as a community.